Tuesday isn’t Friday. And it never will be. Tuesday is thankful it’s not Monday; people seem to really hate Monday. Ruby Tuesday, the classic hit by The Rolling Stones was originally titled, Title B. Hmmm, would a chain of restaurants called themselves Title B ? People are allegedly the least ‘frisky’ on Tuesdays. October 29, 1929, also known as Black Tuesday, when the New York Stock Exchange crashed, signalling the beginning of The Great Depression, which may have been badly named. Tuesday June 6, 1944, D-Day. Allied forces landed on the beaches of Normandy, France to liberate Nazi-controlled Europe. If You Give a Pig a Pancake by Laura Numeroff, illustrated by Felicia Bond is one is a series of children’s books that teaches cause and effect. The usual effect for me? When reading it to my son, I wanted pancakes. Tuesday is allegedly the most productive day of the work week. If you’re reading this at work, that may not be true. Shrove Tuesday, Fat Tuesday, Pancake Tuesday – all the same day. Shrove Tuesday, the day before Ash Wednesday, the beginning of Lent for many Christians. Fat Tuesday or Mardi Gras is a time to celebrate and feast on foods not allowed during the austerity of Lent, most of which are rich in fat…now I’m drooling at the thought of pancakes. Even if people don’t observe Lent, many celebrate Pancake Tuesday or Fat Tuesday. Mix together lightly in a large bowl. Mix gently and cook with a small amount of butter/olive oil mixture to grease the pan. Garnish to taste and enjoy! I’ve never heard of putting oatmeal in pancakes but it’s a great idea. Those sound like interesting (with the oats) and tasty pancakes! Yum. 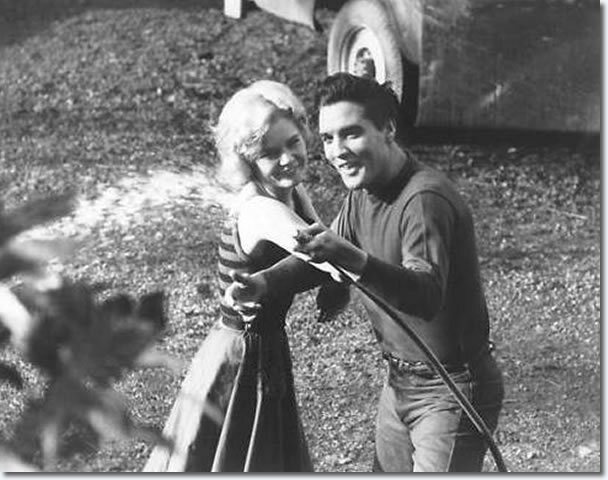 Loved the Elvis & Tuesday photo. Hugs! 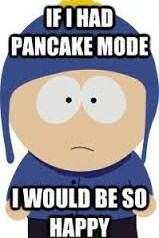 I don’t know many people that don’t eat or don’t like pancakes. Oh well, we all have problems. The sour milk with a spoonful of vinegar might be better achieved by buying butter-milk, I don’t know about baking powde either. In any case, my grandkids only come over if I make pancakes, so there! I like your pancake recipe. Sounds wonderful. Cheering is welcome every day. I’m overwhelmed all the time. Thank you for the reblog, Jonathan. WISH WE HAD SOME NOW! and Bacon!…let’s go all out and scramble some eggs! Yum, love pancakes especially on Saturday mornings! Thanks so much for linking up! Pancakes are wonderful! 😀 I love them, but am terribly ungifted at making them look pretty, haha. These look delicious! :] Thanks for linking up with us! 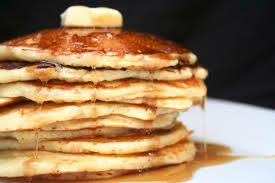 Donna, pancakes kept popping into my head all day, now I see this. This just might be one of those pancakes-for-dinner days because why put off till breakfast tomorrow what you can have for dinner today? This recipe will make a nice change from my usual. Mmmm . . . pancakes . . .
We just had pancakes for dinner the other night. And we will probably have some again on Tuesday, and cajun food for dinner with donuts for dessert. That should tide us over for the Ash Wednesday fast. ha ha! Shrove Tuesday was big in Kansas, where I lived for several years. They would have pancake races and compete against a town in Europe somewhere.